A popular city destination here in South America, if you want to mix some city flavor with skiing then it is totally understandable that you would ask where you can do this in proximity to Buenos Aires. Here you will discover some of our favorite things to do while in the city. However, “close” is a relative word down here where maps showing vast pampas and towering mountain chains defy our capacity to comprehend distance. What is The Nearest Ski Resort to Buenos Aires? The short answer is Las Leñas ski resort, south of Mendoza, a “mere” 737 miles from Buenos Aires. Fairly close behind comes Chapelco located outside of the town of San Martin de Los Andes, “just” 970 miles away. This only just beats the super winter resort of Cerro Catedral in Bariloche “only” 1020 miles away! 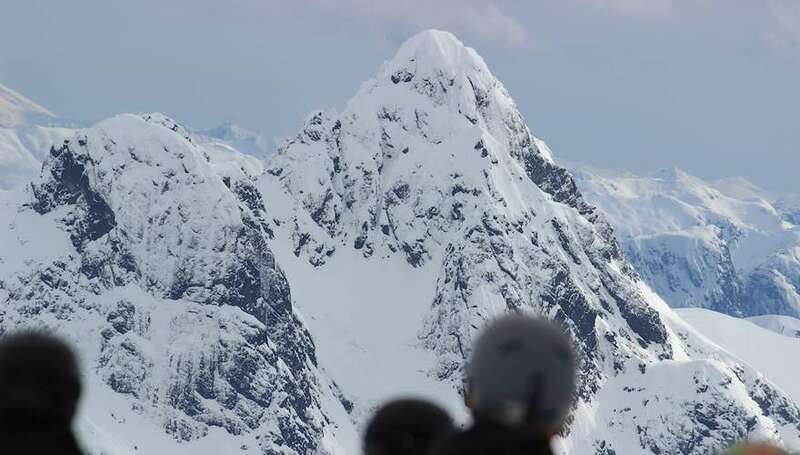 And for those who really want to go to the end of the earth to ski, you do need to touch down in Buenos Aires to reach Cerro Castor in Ushuaia, just a “short” 2025 miles from the capital. 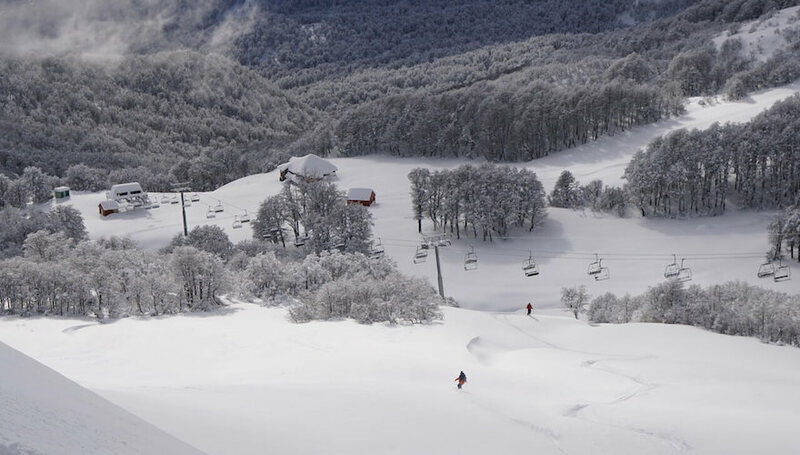 You definitely cannot sleep in town and be on the slopes by 9am from Buenos Aires, though of course, internal flights make travel around Argentina extremely accessible. More detail to follow on that later. 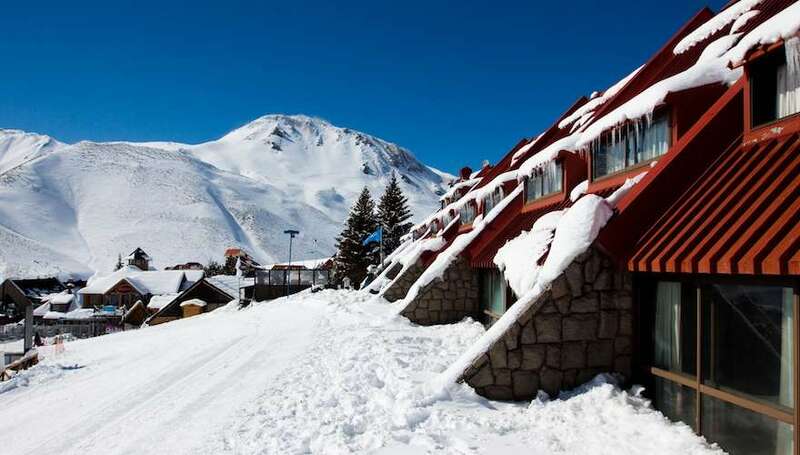 Meanwhile, if you are seriously looking for a city break that can be combined with skiing just a couple of hours from your hotel, then Santiago de Chile is without doubt your best option. That long thin country defies geography in its own way by offering a bustling cosmopolitan capital city with internationally renowned ski resorts just 2 hours to the east, and endless sandy beaches just 1.5 hours to the west. 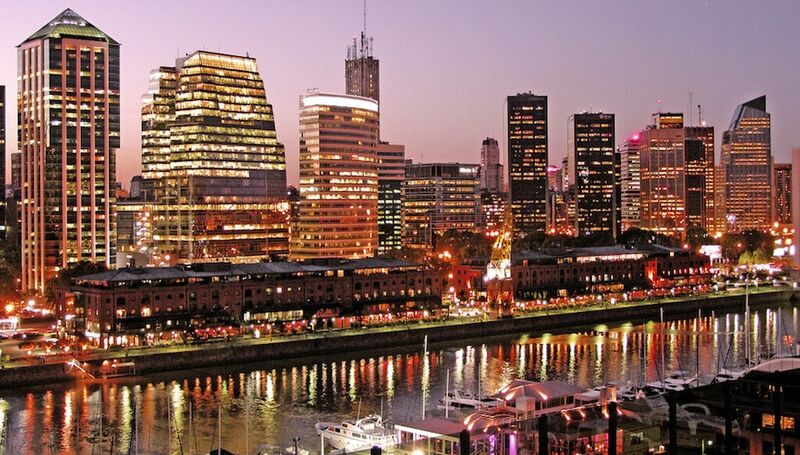 For reasons soon to be revealed, Buenos Aires is a great starting point for travel within country. It is old world and culturally rich, yet dynamic with surprisingly modern developments, the city is would be wasted if you just fly in and fly out in search of your next ski adventure! For those with oodles of time, a good book and a lot of patience, you can tackle the highways of Argentina by long distance bus to reach the “closest” ski resorts. For most skiers, domestic flights from the Buenos Aires Jorge Newbery Airfield is the most logical option. Las Leñas is a 16 hour bus journey away from the main Retiro Bus Station in Buenos Aires with final destination being the town of San Rafael. The quickest, but also the most expensive way to fly is to by charter plane to Malargue (LGS) which is only 45 miles away and will get you onto the slopes quickly. Alternatively you can take a regular plane to either San Rafael (AFA) or Mendoza (MDZ). From San Rafael the onward transfer time is just 2 hours and from Mendoza it is closer to 6. To Chapelco in San Martin de Los Andes (CPC), regular flights go various times a day from Aeroparque Jorge Newberry National Airport (AEP) in Buenos Aires and take just 2 hours 20 minutes. The ski resort is very close to the town. The overland alternative is an arduous 20-22 hour affair although the various luxury options such as “Super Cama” or “Cama Ejecutivo” will guarantee leg room and some sleep! Bariloche is on the oft-trodden tourist trail due not only to the quality of the ski resort and the picture postcard location of the town itself, but also because it offers a wonderful gateway to stunning Patagonia with endless outdoor adventures. As a result, various flights a day go from Ezeiza (EZE – the international airport in Buenos Aires), and from Aeroparque Jorge Newberry too. The departure airport depends on the airline, so do check carefully as transfers between the two airports can take well over an hour during busy times. You can of course also take on the endless highways over the pampa to Bariloche with a 24 hour bus ride, but as the comfortable options are not really all that cheap, the flight looks ever more tempting! As for Buenos Aires as a destination, there really is nothing you cannot do there, apart from ski just 2 hours away from your hotel of course! The colorful Caminito district in La Boca will take you back decades to when tango, in the form of the males-only Milonga, first graced the bars of the district. A wander through the famous Recoleta cemetery may not seem like a fun tourist attraction, but you really shouldn’t miss visiting Evita’s grave and marveling at the amazing marble sculptures of those who crafted their tombs in advance of their moment to leave this world. The Plaza de Mayo where the pink palace of the government stands, is still the place where the grandmothers gather in their white headscarves to pray for those “disappeared” during the years of the military coup. The quality of the exclusive shopping malls is reminiscent of central New York, while the quaint district of San Telmo oozes memories of renaissance France. Hours can be spent picking through the stalls every Sunday at Plaza Dorrego before losing yourself in the little known but well-loved El Desnivel restaurant famous for serving steaks to prominent names over decades. The botanical gardens, endless green parks and the world class museums beckon for those who love wandering to absorb the essence of the city. A tour of the recently renovated Colon Theatre is a must, and is completed by taking in the views of the towering Obelisk and the blue lit French embassy building, all located on the 9th July Avenue, which is incidentally purported to be the widest in the world, 460 feet from one side to the other! Close enough to neighboring Uruguay for a day visit by hydrofoil to Colonia del Sacramento, this trip is a fantastic break from the city itself and will steep you in colonial history. Of course, Buenos Aires is not Buenos Aires without a tango show. Some are quite touristy, others are simply classy. Choose wisely. And yes, steak. The district of Puerto Madero, modeled on Liverpool’s famous docks, is home to various superb steak houses, with Cabaña Las Lilas still standing out from the crowd. 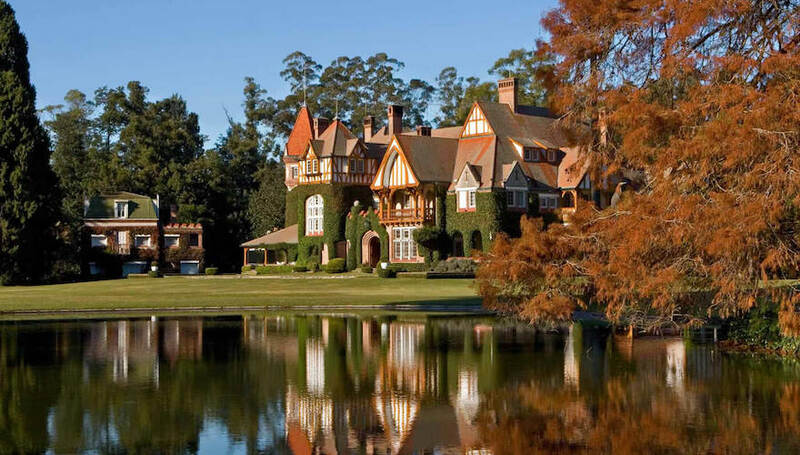 Outside of Buenos Aires you can venture further afield to the polo estancias such as Villa Maria estancia founded back in the 1800’s. Further still is the paleontological capital of Trelew close to the Peninsula Valdés where whale watching is on offer between June and December. Alternatively, in the other direction are the magnificent Iguazu Falls bordering Argentina, Paraguay and Brasil in the north east corner of the country. Wherever you choose, Argentina delights at every turn. Buenos Aires is a must, so consider combining skiing with this city break and you will definitely not feel shortchanged.